I have created a Thailand Shopping Guide to help assist you in finding some of the most pleasurable and irresistible locations whilst on vacation here. Whether you want to purchase fine Thai silks, high fashion or dozens of local handicrafts, Thailand has it all and so much more. It just seems to be endless. You can choose from a vast variety of high-quality luxury goods to many delightful bottom end bargains. From north to south, from east to west, you'll be both captivated and fascinated. Thailand is well known as one of the best shopping regions in south-east Asia and the huge range of products on sale coupled with excellent prices makes it a formidable attraction. Not only do tourists flock here to spend time in a warm environment while visiting a tropical island and site-seeing stunning ancient cities, but it is also a great opportunity to stock up on amazing bargains. Some of the most tempting purchases take the form of souvenirs, electronic goods, handicrafts, artworks, books, designer clothing, ceramics, silverware and lacquerware, antiques and artifacts, silk fabrics, tailored suits and shirts, gems and jewellery, and more. With so many huge luxurious shopping malls and department stores straddling side by side vibrant and chaotic markets and street stalls, shopping certainly becomes an intriguing mixture of traditional and contemporary extravagance. From the glitzy shopping malls and department stores in Bangkok to the bustling markets and street stalls of Chiang Mai, there's something for everyone. This shopping mall was originally one of the biggest malls in Asia when it was first founded in 1985. It measures 330 metres long with 2,500 shops in an area of 89,000 square metres on eight stories. Central World formally the World Trade Center is the second largest shopping complex in Southeast Asia situated in one of Bangkok's busiest shopping precinct at the Ratchaprasong intersection in the Pathum Wan district. It measures 1,024,000 square metres with the actual shopping section being 550,000 square metres. The world's biggest complex is in the Philippines. Markets are an absolutely indispensable part of life in Thailand and provide a vital function in promoting a safe and enjoyable environment in which you can spend many a leisurely hour in constant bewilderment. Try to focus on one area at a time. There are markets throughout Thailand, but the largest of its kind in the world is the Chatuchak Weekend Market north of Bangkok. As the name suggests, it is open only on Saturdays and Sundays, officially from 9:00 am until 6:00 pm although some close much later or only when the sun sets. Its vast expanse covers an area of over 35 acres with tens of thousands of stalls. Vendors who speak very little any English or none at all ply their wares in a wave of chaos and unrelenting heat. There is no air-conditioning so it's best to go as early as possible. 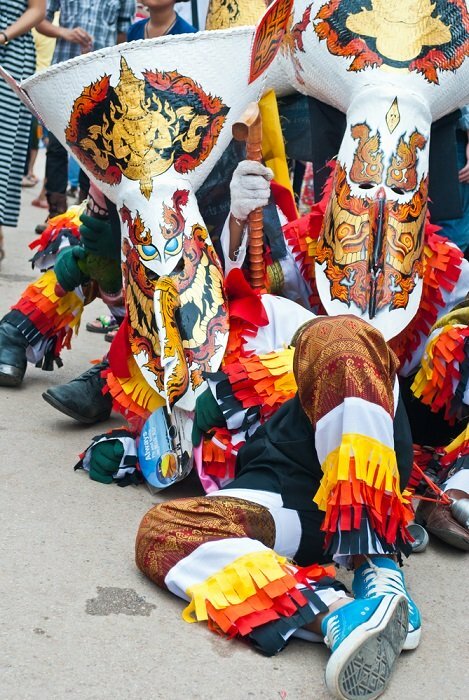 Many thousands of locals and tourist alike flock there to take advantage of the wide variety of products including everything and anything from household items, clothing, baskets, masks, arts and crafts, antiques and artifacts as well as live animals. It's a challenging and rewarding experience. Bangrak Market is a small thriving local bazaar located between the Shangri-La and Oriental hotels in Bangkok. The market essentially sells flowers, fresh fruit and vegetables, as well as meat and seafood, although there are numerous other items such as clothing, fabrics and household goods on sale too. Khao San Road Market is essentially a backpacker and peddler party paradise as just about anything imaginable can be found here, from cheap accommodation to dingy massage parlours, clubs and pubs. It is a good place to purchase second-hand books, hiking gear et cetera while exchanging travel tales. Khao San takes up one single small street about three blocks and is located in the Banglamphu district north-west of downtown Bangkok. An infectious and lively atmosphere prevails. Patpong Night Market is a bustling and popular shopping area also well known for its adult entertainment. Just ask any taxi driver. Fake brand names lie alongside cheap souvenirs like watches, clothing and other assorted paraphernalia. Prices are often more than double than anywhere else in the city. Not the best place to shop as are the touts who constantly bother you. That's another story. Go-Go bars are a dime a dozen lining the streets between Silom and Surawong roads. You haven't been to Bangkok if you haven't at least tried this place once. 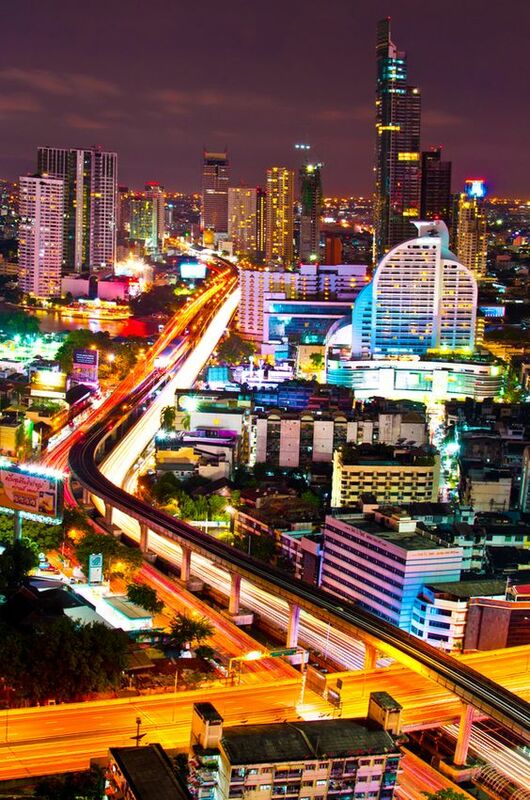 Suan Lum Night Bazaar situated east of Lumphini Park in Bangkok is open nightly from around 5:00 pm until midnight. It is a fabulous alternative to spending quality time away from the heat of the day. There is a crazy amount of small shops selling a variety of gifts, clothing, jewellery, silks, lots of handmade products including tapestries, paintings and sculptures. And in front of the market, there is a wonderful semi-enclosed beer garden and food stalls where live bands perform most nights. Chiang Mai Night Market is a lively shopping space situated in the heart of the city that stretches along a section of Chang Klan Road that is within easy walking distance from many hotels. This market has a wonderful relaxed atmosphere and a pleasant vibe. It is also one of the nicest places to enjoy an evening meal while watching traditional Thai dancing performances. Outside the market, there are street stalls squeezed onto the pavement where you can pick up many bargains. Another charming night market situated at the bottom end of Chang Klan Road is the Anusarn Night Bazaar where you can have a meal, a cold drink and a foot massage while watching cultural performances and all the comings and goings. Thai Fabrics with the emphasis on Thai silk are without a doubt some of the best-known buys in Thailand. There is an enormous range of styles and designs to choose from extending from the ancient to the modern. Cotton products are also an excellent choice with goods such as cushions, batiks and clothing being widely available. Tailor shops found in both cities and resorts are famous for their craft offering a wide range of suits, shirts and dresses, all made to order. Arts and Crafts covers a huge range of products with most of the best buys coming from the north of the country. Hill tribe artifacts sold in all the small towns and villages include items such as brightly coloured blankets, patchwork bags and delicate silver jewellery. Beautiful traditional masks and puppets can be bought at many of the open markets. Intricate Thai carvings in bronze, wood, and stone can be acquired in all the craft markets. Wickerwork in all guises from rice steamers, trays and boxes to durable Rattan furniture, are all great buys.